Hughes Performance has been building hot performing street and racing automatic transmissions since its beginnings in 1971 when it was founded by William Charles Hughes, Sr. That’s 46 years of proven street and strip experience. Hughes Performance, which remains a family owned and operated company, was founded on a solid work ethic and attention to durability — an attitude that remains strong today. We contacted Hughes Performance to chat about GM’s successful 700R4, 4L60, 4L60E, and 4L80E overdrive automatic transmissions, and what Hughes can do for you. 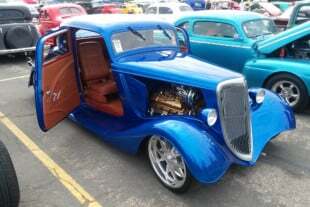 GM Street Muscle enthusiasts have had the good fortune of terrific automatic overdrive transmissions dating back to the early 1980s — the 700R4, 4L60, 4L60E, 4L65E, and 4L80E. The 700R4 was introduced in 1982 as a replacement for the time-proven TH350 used in light to medium duty applications. 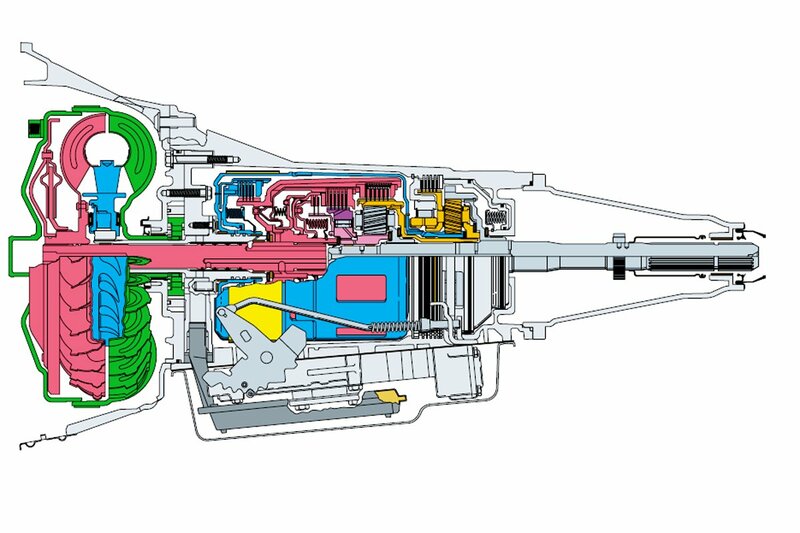 What made the 700R4 different than previous GM Turbo Hydra-Matics was the “throttle valve” (TV) cable function — which did the work of both the kickdown linkage and vacuum modulator. Where the TH350 and TH400 both had kickdown linkages and vacuum modulators to control line pressure, the 700R4 employed a throttle valve cable (throttle position) and governor speed (output shaft speed) for shift control. The 700R4 also had overdrive with a locking torque converter for improved fuel economy and lower engine rpm at highway speeds. The 700R4 was redesignated the “4L60” in 1990 with “4” meaning four forward speeds, “L” meaning longitudinal (rear wheel drive), and “60” meaning light- to medium-duty at 6,000 pounds GVW (gross vehicle weight). Although the mechanically-modulated 700R4 and 4L60 have served performance enthusiasts very well, GM’s powertrain engineers and product planners believed there was a better way to control shift programming in this popular overdrive automatic. The 4L60 became computer controlled in 1993 and, as a result, became a different four-speed automatic transmission known as the 4L60E. Although the 4L60’s gear set remained basically the same; how it was controlled changed with a completely different case, bolt-on bell housing, locking torque converter, and all-new electronically controlled valve body. Although the 4L60E is rated at 6,000 pounds GVW, it can take more punishment according to Hughes Performance. Some applications employing the 4L60E have been known to tax this transmission to more than 8,000 pounds without consequence. The 4L60E’s control system consists of a powertrain control module (PCM), which gets feedback from a VSS (vehicle speed sensor), throttle position sensor (TPS), as well as other sensors throughout the vehicle’s system that enable the powertrain control module to control shift agenda. The powertrain control module then takes what it gets from feedback sensors and electronically controls line pressure and shift solenoid function. The engine and transmission work together via the powertrain control module for seamless driveline function. Hughes Performance tells Street Muscle the 700R4 and 4L60 are two-piece case transmissions, meaning the main case and bell are an integral unit with a four-bolt extension (tailshaft) housing. The computer controlled 4L60E is a three-piece unit consisting of a removable bellhousing, main case, and extension housing. This makes the 4L60E easy to identify. One more identification point with the 4L60E is the extension housing. The 700R4 and 4L60 have four-bolt extension housings. The 4L60E extension housing has six. Hughes Performance takes the already rugged 4L60 and 4L60E transmissions and makes them better with significant internal improvements that give you rugged dependability and better street/strip performance. Hughes Performance offers three basic 700R4/4L60/4L60E transmission packages for street and strip muscle. The Street Rod 700R4/4L60/4L60E Transmission is engineered for stock and mild modified engines geared for street use, and includes a 2,000 rpm stall speed street torque converter, HP3238 trans cooler, flexible dipstick tube, throttle valve cable and mount (all but 4L60E), and case of Luca Sure Shift lube. This is a turnkey package ready for action. The Hughes Muscle Car Transmission Package, which is engineered for modified “rumpity-rump-rump” high-performance engines, includes everything you’re going to need to get your street machine back on the road. 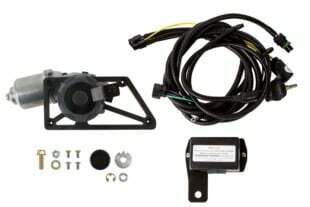 The package includes a Hughes 2,500 rpm stall converter, HP3238 trans cooler, flexible dipstick tube, throttle valve cable and mount (all but 4L60E), and a case of Lucas Sure Shift. Hughes Performance offers a complete line of street and race converters for your 4L80E project. Key to performance is knowing what stall speed will work for you. Stall speed is determined by where peak torque comes in. If you’re going racing, Hughes Performance has your GM box. The Hughes Pro Street 700R4/4L60/4L60E arrives on your doorstep ready to go racing with 3,000 rpm stall racing converter, HP8238 trans cooler, throttle valve cable and mount (all but 4L60E), and a case of Lucas Sure Shift. Lucas Sure Shift is a semi-synthetic transmission fluid designed specifically for high-performance automatic transmissions. It gives you a firm shift and can stand up to the high temperatures associated with the kind of power the 4L60/4L60E experience in street/strip performance driving. It reduces wear and tear while at the same time improving clutch and band hook-up. If you’re planning to build your own 4L60E transmission, Hughes Performance has everything you’re going to need to build a rugged transmission. For example, Hughes Performance offers four different transmission overhaul kits along with individual hard and soft parts designed to fit your needs. This includes everything from street to all-out racing. Hughes Performance offers a complete line of transmission build kits covering all 4L80E transmissions, including the Premium Overhaul Race Kit with Kolene steels, Master Overhaul Kit, Premium Overhaul Race Kit, Valve Body Kits, and even Service Maintenance kits. You can complement your transmission build with new bushings, bearing kits, Teflon seals, and more, to create a hydro unit that’s all new inside and ready for action. There are also shift improvement kits that enable you to build a better valve body, which will improve your elapsed times and longevity. Hughes Performance offers products designed to complement your 4L60E installation such as adapters if you’re looking to put this GM trans behind a Ford or Chrysler powerplant. You also have a choice of three heavy duty five-pinion front carriers for your 4L60E project. The Hughes Performance 4L60E Transmission is a popular 4-speed overdrive transmission being swapped into more than just GM vehicles these days. The popular Hughes 4L60E transmission applies to many GM models, including the popular C/K pickups. All internal parts are carefully inspected by Hughes technicians. Many of the original equipment pieces are replaced with heavy-duty Hughes Performance components. All lubrication and valve body circuits are carefully inspected and modified for cooler and quicker operation. GM’s 4L80E introduced in 1991 is a descendant of the brute Turbo Hydra-Matic 400 (TH400) which is highly successful behind high-torque, high-horsepower V8 engines. The 4L80E continues the TH400’s legacy with its bulletproof design and rugged dependability. What makes the 4L80E different than the 400 is the main case, electronic control, locking torque converter, and an overdrive unit. The 4L80E takes the 400’s internals and blends them with efficiency, thanks to the addition of overdrive and converter lock-up. At 8,000 pounds gross vehicle weight, the 4L80E’s capacity is greater than the smaller 4L60E’s. As a result, the 4L80E is a completely different transmission and doesn’t share anything in common with the 4L60E. What’s more, it can handle 440 lb-ft of torque in factory form, and a whole lot more with a Hughes Performance build. Because the 4L80E is so versatile, it is suited to a wide variety of demanding applications. You get the TH400’s 1-2-3 punch plus 0.75:1 overdrive ratio. When you couple these features with the Hughes high-stall locking converter you really can have it all in the most rugged overdrive automatic on the planet. Here’s a complete Hughes Performance race package including 4L80E, controller, cooler, and torque converter. Each Hughes Performance bellhousing system is SFI-certified and requires no additional protection when used in a drag racing application. Each Hughes bellhousing system allows the use of an original-style starter in the original position. Two 4L80E intermediate clutch drums. On top is the stock 34-element sprag. Bottom is the Extreme Duty 36-element sprag from Hughes. This guy is heat-treated and extra wide for extraordinary strength. A closer look at these drums shows the wider Hughes sprag hub on the left. The Hughes sprag on the left. Greater width means more strength. The Hughes intermediate clutch combo for 4L80E with High Energy clutch frictions and billet steel pressure plates. These are the direct clutch frictions (also known as third gear). Hughes opts for Alto Red clutch frictions. Left is the Hughes forged steel forward clutch drum with the smoothness of Torrington thrust bearings. On the right is the stock GM forward clutch drum. Talk about a difference in internal friction? On the left is the Hughes planetary package with Torrington bearings versus stock with a thrust washer. Durable Kevlar bands are standard protocol in Hughes’ racing 4L80E automatics. Left is the 4L80E intermediate band. Right is the rear band. All surfaces are machined smooth in a Hughes 4L80E build. Hughes Performance offers a variety of electronic transmission controllers designed to take all the guess work, complexity, and intimidation out of retro-fitting a 4L80E into your vehicle. These electronic transmission control units are pre-programmed and require no software, laptop, or PC for installation, tuning, or proper function. We’re talking a pre-terminated wiring harness for simple “plug-n-play” operation. Hughes also offer models with an optional throttle position sensor (TPS) kit and mounting bracket that will work with virtually any carburetor out there. There are also models available that splice into an existing TPS on an EFI engine. The entry level Hughes controller is manufactured by Powertrain Control Solutions and features rotary knobs with detents that allows you to quickly and easily adjust the controller for shift firmness, timing, and lock-up function. Top: All Hughes transmissions, including the 4L80E, are assembled by the same tech to ensure solid reliability. Here, the geartrain is installed during the final phase of 4L80E assembly. Once the rotating assembly is installed, servos and valve body follow. Bottom: Upon button up, each 4L80E is dyno tested and put through its paces to ensure proper operation before shipping. “The premium Hughes shift controller is manufactured by Compushift and includes a simple hand-held calibration module that allows you to fine tune shift firmness, shift timing, lock-up function, and select between automatic and full manual operating modes,” according to Tony, “The Compushift module also provides a real-time display of transmission data function including range, fluid temperature, line pressure, etc.” Paddle shifters are also available and can easily be installed with either controller option. Hughes Performance has an electronic control unit under development that will be available soon. This high-tech unit will combine the best of both controllers by offering outstanding simplicity of installation and operation along with a hand-held calibration module that offers improved tuning at a very attractive price. If you’d like to avoid the use of electronics, Hughes Performance offers a manual valve body for the 4L80E that completely eliminates electronics. This means complete manual control of your 4L80E. The locking torque converter is engaged with a single switch. A TransBrake feature is also available for dragging racing. You don’t have to sweat out the mechanical speedometer issue because Hughes has you covered there. Everything necessary for you to install a mechanical speedometer is available from Hughes in a single kit. Automatic transmissions do not like excessive heat, which makes heat extraction mandatory. Equip your 4L80E with an external transmission cooler and get longevity. High-performance shifters from Precision Performance Products are also available from Hughes Performance. What’s more, you may use any number of performance automatic shifters available from the aftermarket. Hughes Performance tells us although you can use any shifter, the in-house shifter from Precision Performance Products offers the best fit and function. If you’re looking for a performance-built automatic GM transmission, give the gang at Hughes Performance a call and let them build a transmission that will meet your expectations and handle the power your engine is putting out. From a mild street machine to a full-race build, Hughes Performance can accommodate your needs. Jim Smart cut his teeth on automobiles in the 1970s with a passionate interest in Ford and Chrysler musclecars. After serving in the United States Air Force, he transitioned into automotive journalism as editor of Mustang Monthly magazine in 1984. In 1990, Jim joined Petersen Publishing Company as a feature editor at Car Craft, and later as editor of Mustang & Fords, then senior editor at both Mustang Monthly and Mustang & Fords. Jim writes for a wide variety of automotive publishers and websites.